The weather in Montreal last week brought a little bit of everything: snow, ice, cold, rain, slush and wind. To start off this week however, only one element is expected to pester the city, but there’s lots of it. 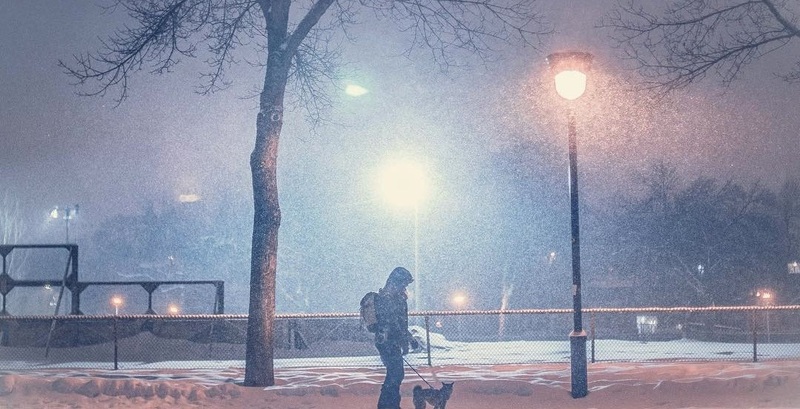 Environment Canada has issued a winter storm warning for Montreal and its surrounding areas, calling for another 40 cm of snow between now and Wednesday, with 25 cm forecasted to fall by tomorrow and another 15 on Wednesday. 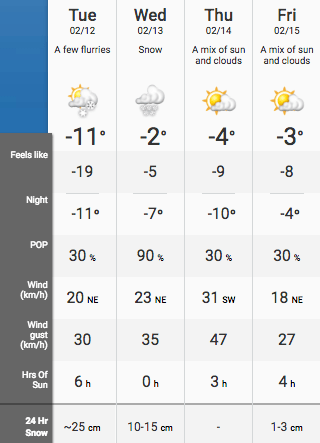 Strong winds are expected to blend with the snowfall which could result in significantly reduced visibility.